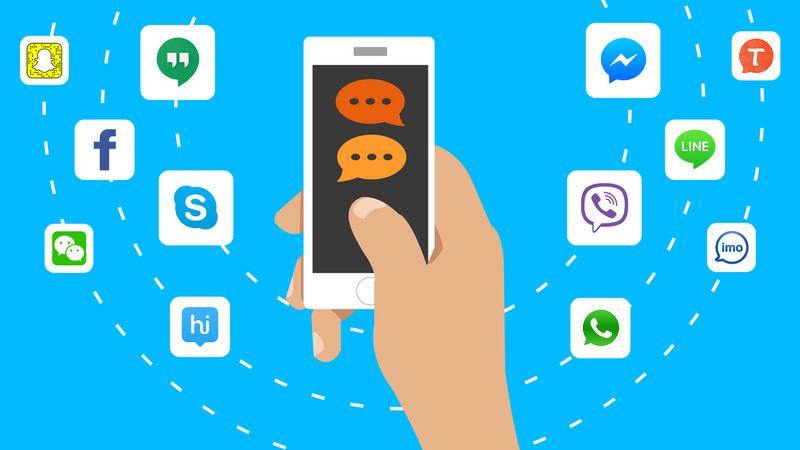 [Guest Post] What Do You Need To Consider When Building A Messaging App? What you want your audience to get from your app. If there will be a charge for your app. And, this is just to name a few. As mobile messaging applications have become popular, there has been a huge boom in the market as people create new apps, each trying to provide something different from the other. When building a messaging app in particular, there are a few things that need to be considered. The first and most important being what type of messages should the application send, 1 to 1, private group or public forum. Should the app send multiple message types like having the ability to share images, audio and videos? Should fun elements be included in the chats with stickers and customizable backgrounds? The type of login also needs to be considered. For example, current popular messaging apps like Facebook Messenger requires the user to have a separate account with Facebook to use the app, so having login details. The contacts for chatting will then come from your ‘friends’ on Facebook. Other apps like WhatsApp does not require you to make a new account to use it, your mobile number is all the app needs. It will the pull contacts from your current contact list if they also have the app, therefore you can chat with them. Both features have their perks and which is best to use should be considered. New apps are being created everyday to try to stand out from the rest. Some of the more recent apps include the likes of Viber, Kik, Line and many more. All of these display features that are a lot more advanced than just standard messaging. WeChat for example will allow the user to pay their bills and other people using the app, or even order themselves a taxi or book a doctor’s appointment. People are expecting more from these apps than ever before, and that is why new features have to be added to keep up with the demand. While the Asian messaging apps such as Line and WeChat are currently the most advanced in terms of features, Facebook messenger and WhatsApp compete in terms of scale and reach due to the ease of use. One of the biggest things to consider when building an app is knowing your audience. It there is something you feel is missing from messenger apps at the moment, it is more than likely that there are other people out there in the world that feel the same way. However, it is worth doing research beforehand to make sure that this is the case. A lot of time and money can be saved by talking to your target audience and finding out what they want, and if they agree with you. There is a huge range of devices that can apps can be downloaded on, so one of the first choices that must be made is what devices you want the app to work on. It would make sense to only start with one or a few devices to see if the app is proving popular, again could save time and money. If after a while the app is very successful, then is the time to consider branching out to other devices/platforms. It is also important to consider how you will get people’s attention. The app store gets hundreds of apps every day sent its way, therefore it needs to stand out from the crowd. On the Apple app store alone there are over more than 2.2 million apps for people to choose from, plenty of these being messenger apps. Promotion plays a key role in making an app successful, and this needs to be taken into consideration both before and after app launch. Marketing can cost a lot of money, so some budget needs to be set aside for this as it can make or break an app. If no one knows your messaging app even exists, then no one will download it. Building a new messenger app for an already busy and crowded market is a big task, with a lot to consider even in the planning stages. Once the app is available in the market, it needs to continued to be updated to keep users engaged and keep it at the top of the market. Although it is a big job, it can be done and there is a huge potential for success. Millions of people are using these apps every single day, meaning the demand is there, developers just have to harness it.